Xplore is proud to offer a wide range of options for a customized tour for school groups, youth groups and sports programs. Many programs include outdoor adventure activities to encourage team building, problem solving and confidence building. Whether you’re looking for an educational tour that includes museums and historical sites and landmarks or an adventure tour with quad riding and rappelling, we have you covered! We will customize a tour that meets your group’s needs. Options include city tours, Harry Potter World, soccer and rugby camps, language lessons as well as residential stays with adventure camp activities. Find out about a booking a custom tour for your group. They are all so friendly to us and they can support you at any time, they can help you with everything. There is something for everyone with Xplore travel. Whether you are planning an educational field trip for your class, a team building excursion for teens or a sports focused cultural exchange, we have the tools to make it possible. Join one of our existing summer camps across Europe, or design a customized experience – we are here to help you find the right trip for you. With partners across England, Spain, Italy, France and Germany; we have the right fit for your group! Many programs include outdoor adventure activities to encourage team building, problem solving and confidence building. Just let us know what you are looking for! Italian Tour – Xplore customizable tour of Italy. 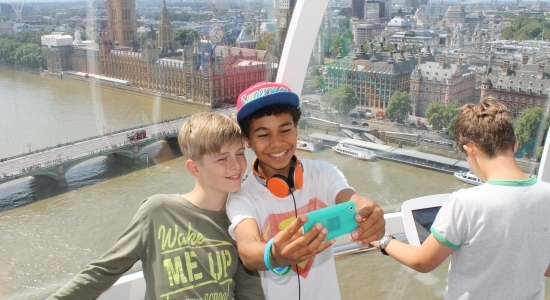 Xplore Summer Camps are the perfect opportunity for teenagers to safely travel abroad individually, or in groups.